PDCA is a methodology used to control and continuously improve processes and products. The roots of the philosophy can be traced back to the Tokyo Institute of Technology in 1959. The father of modern quality control, W. Edwards Deming, referred to it as the “Shewart Cycle” and commonly referred to it as PDSA. It is known as a system for developing critical thinking. PLAN – Assess the current process or product and figure out how it can be improved. DO – Enact the new process or product by testing small changes and gathering data. CHECK – Evaluate the data and results from the new process or product. ACT – If there is improvement from the standard, then it becomes the standard. If not, the existing standard remains in place and more learning is required. Toyota (TPS) and other lean manufacturers contend that an engaged and problem solving workforce utilizing PDCA creates a culture of critical thinking and is much better able to innovate. This philosophy enables the manufacturers to stay ahead of competition through rigorous problem solving and innovation. PDCA should be continuously implemented in increasing spirals of knowledge. This is especially crucial at the beginning of a project when crucial data is not available. The method provides feedback to support or negate hypotheses. It allow us to be approximately right rather than absolutely wrong. 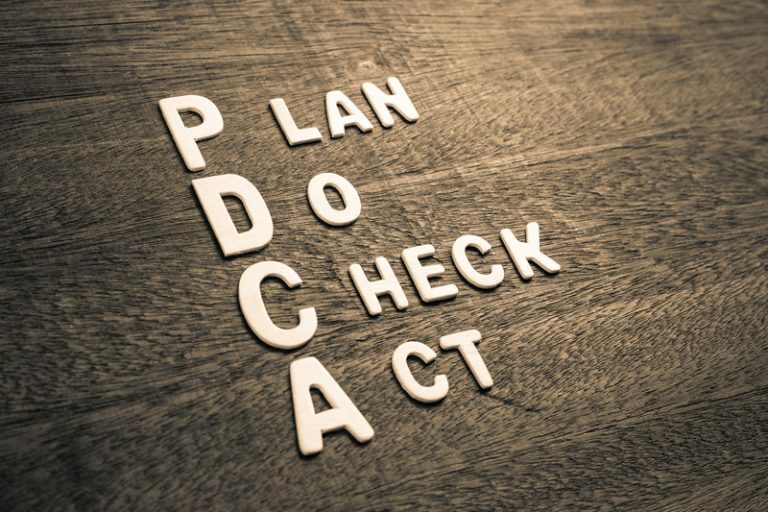 By utilizing the PDCA, it allows manufacturers to avoid “analysis paralysis,” which is a state of overanalyzing or overthinking. When in this state of mind, the situation can appear to be so complex a decision or action is never taken. The decision can appear be overcomplicated, with too many detailed options to make a decision. It seems to best leave the problem alone and deal with the issues rather than risk change. PDCA allows for major breakthroughs in performance, which is preferred in Western manufacturing and frequent small improvements (Kaizen) which is preferred in the Eastern manufacturing cultures. The post PDCA Creates a Culture of Critical Thinking appeared first on Shmula.